Pineapples, palm trees, parrots, and pom poms! Fun tropical prints are everywhere. 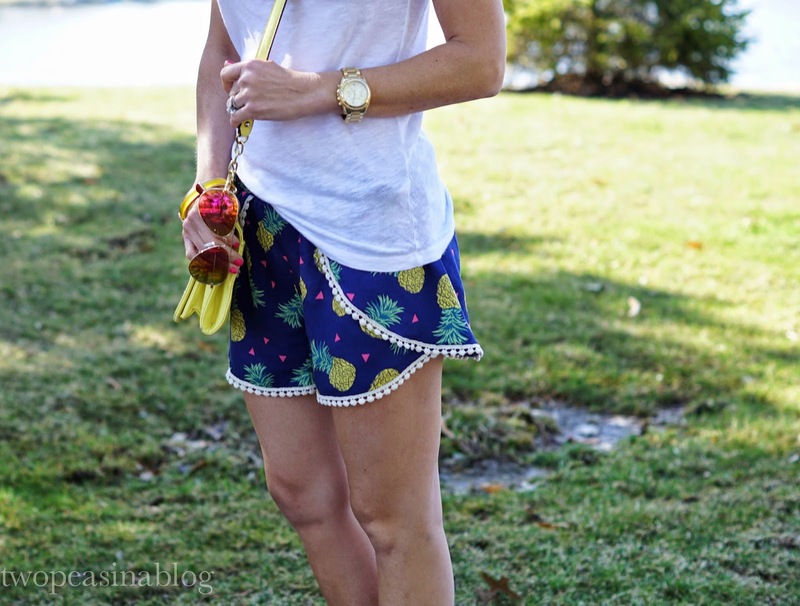 These pineapple pom pom shorts are under $20! 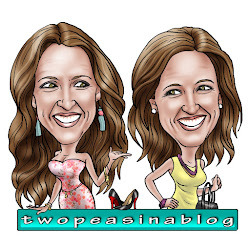 I styled them in a laid-back relaxed way with a basic white tee and gold flip flops. But by pairing them with a silk cami like this, adding wedges or a shiny sandal and a fun clutch you could wear these from brunch to happy hour. 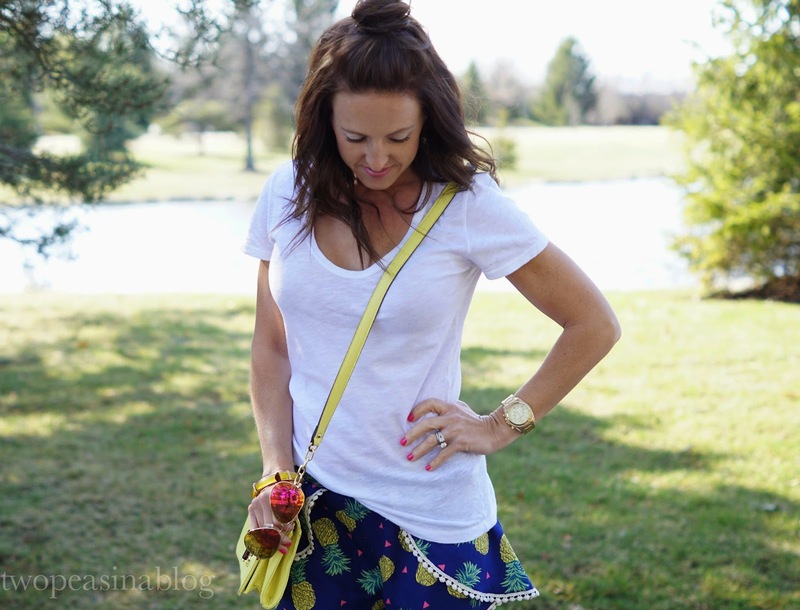 Did you see the pineapple shirt Betsy styled in this post on Tuesday? Adorable, right? We can't seem to get enough of these fun prints! What's your favorite tropical print?